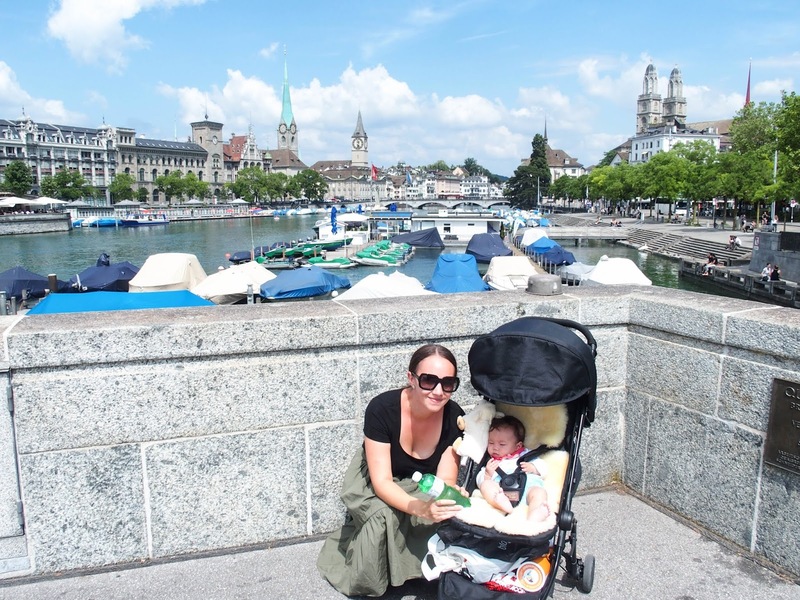 Switzerland was the perfect destination to finish our Europe summer trip in 2016. Driving through from Italy we were quickly amazed at the views of the towns nestled in the mountains and lakes. 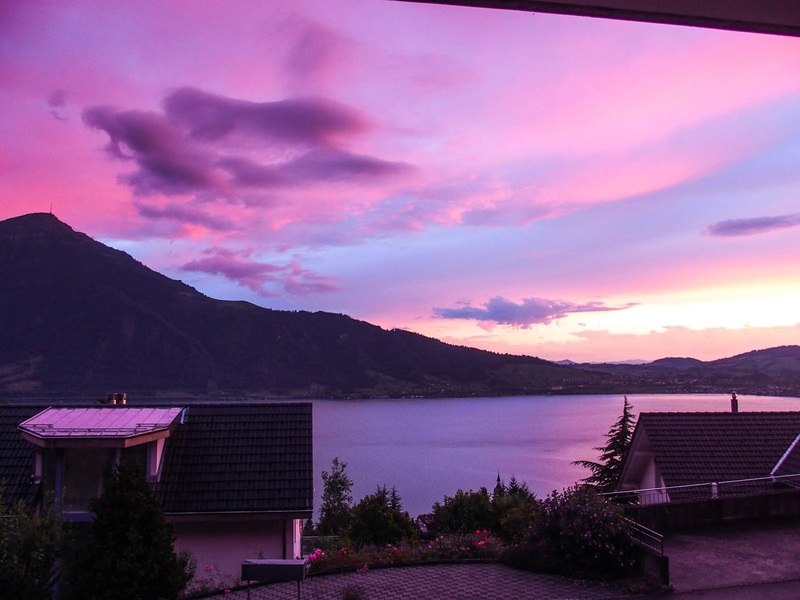 The fact that this continued for a few more hours until we arrived at our Airbnb on Lake Zug, and throughout our 2-week stay was quite unbelievable! 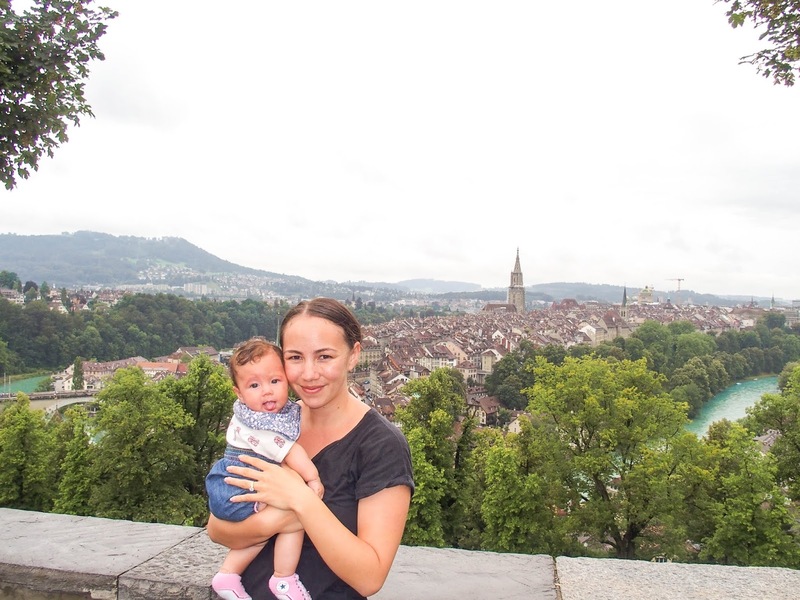 We found that the cities here were easy to explore with Lilah and needless to say the outdoor spaces to enjoy are endless. 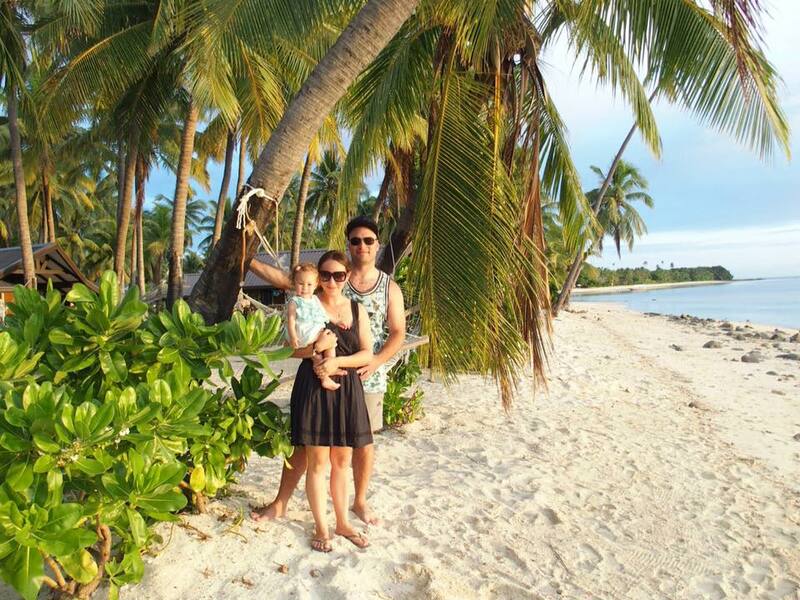 We will never forget Lilah's little tongue making an appearance in all of our photos. 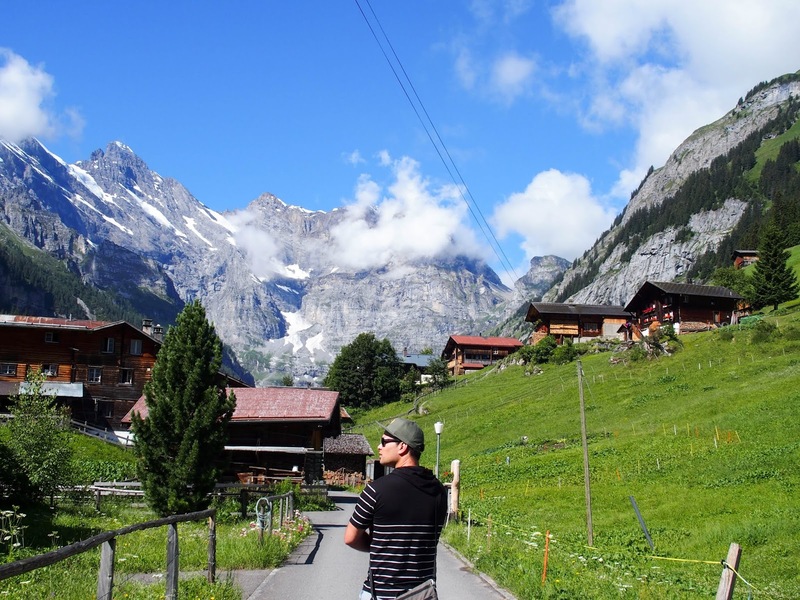 Switzerland is full of beautiful villages in the alps and Gimmelwald is one of them. 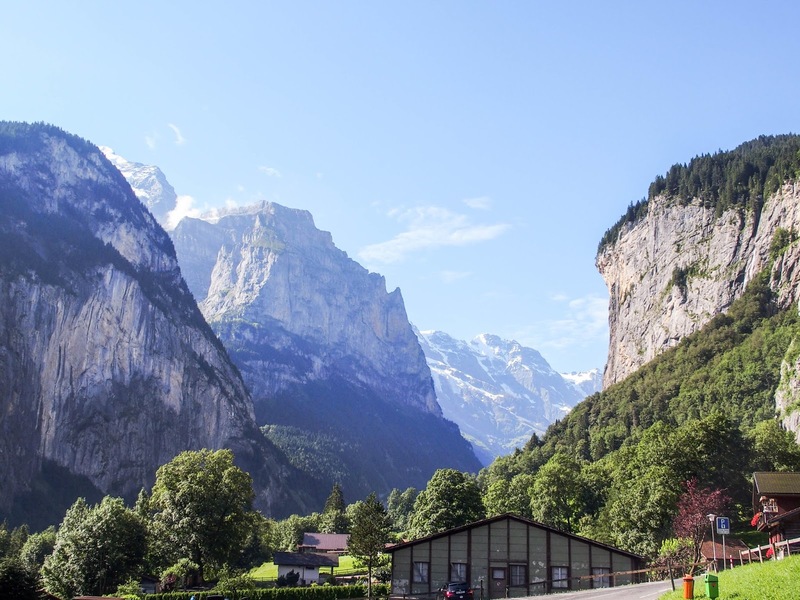 It’s not far from Interlaken and the drive through Lauterbrunnen is spectacular. The setting of this sleepy village surrounded by mountains is the view that comes to mind when you think of Switzerland. ***Day Trip from Lucerne (Lungern-Lauterbrunnen-Gimmelwald-Interlaken) - This was a big day out especially with Lilah. Our main destination was Gimmelwald, but we stopped by the Lungern lookout (definitely worth the view), drove through Lauterbrunnen (stunning! ), and spent the afternoon in Interlaken. 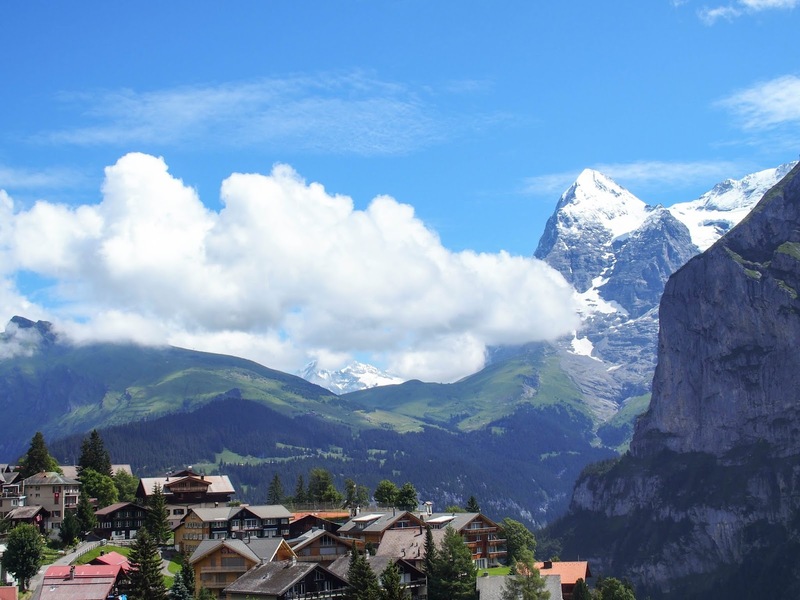 We would definitely go down to explore Lungern village next time and spend a few nights in Lauterbrunnen and Interlaken. They are beautiful areas with a lot to see. With the gondola pass, you can go upwards a couple more stops. We visited Murren briefly which also had stunning views. We would plan to stay in an alpine village next time to explore the area more. There are some well-paved hiking tracks to hike between the villages. We were surprised at how well they were kept. We found an Airbnb in a small town on Lake Zug, Walchwil. It was a great location to make day trips from, and the apartment was better valued than staying in Lucerne with amazing views of the lake and Mount Rigi. It was also nice to stay in a quiet area with not many tourists, and often we were the only people down on the lake. Another advantage being based near Zug was that we didn’t find it to be as expensive as other bigger cities. This meant it was more affordable to eat out and to pick up supplies from the supermarket. Spend some time to explore Zug. We really enjoyed it along the lakefront. The architecture around the town is also beautiful. The tram ride up Mount Rigi and the panoramic views from the top were spectacular. There’s a cafe at the top as well. 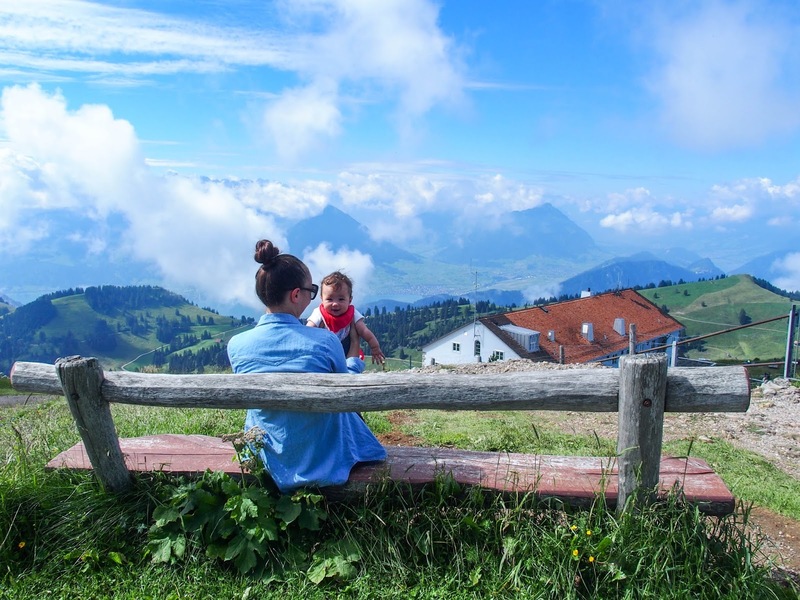 Mount Pilatus is also a popular excursion if you have time. It was colder at the top so we were glad we had a little hat for Lilah. Be sure to check out the cows with the bells, loved the sounds they made. Lilah enjoyed the outdoor animal park in Goldau. It’s a great place to visit with kids. A beautiful city surrounded by lakes and mountains, it is a popular base to explore the area. There is a lot of preserved medieval architecture to enjoy here, especially the famous bridge. Lucerne is a city with a nice vibe. 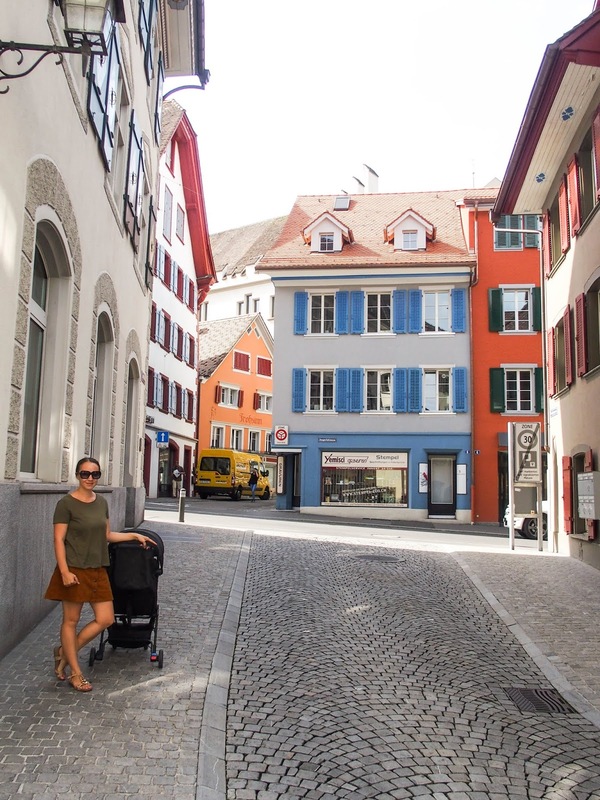 Exploring the backstreets here was our favorite thing to do in Lucerne. We enjoyed seeing artwork all over. Make sure to take your time inside the bridge, the artwork tells a wonderful story. The lion monument carved into rock looks spectacular - unfortunately, we only learned about this afterward! 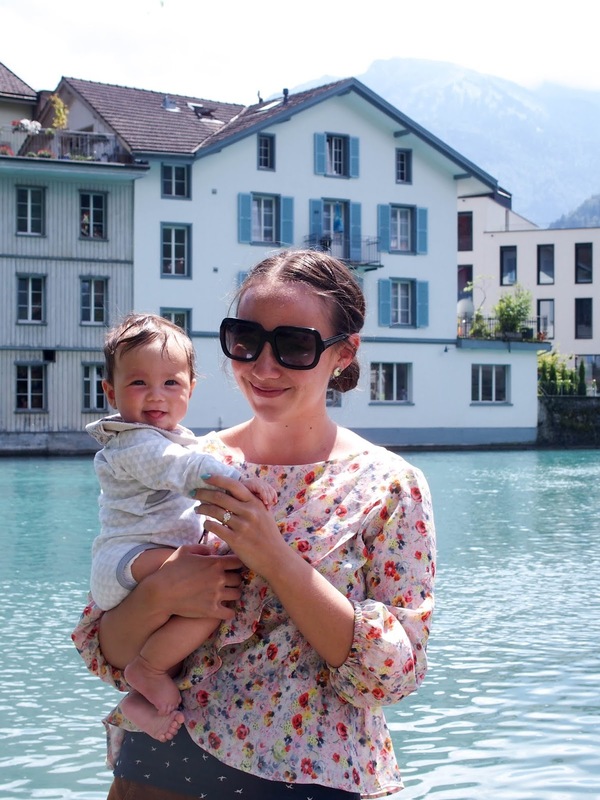 We loved exploring the quieter towns and lakeside spots away from the tourist areas/cities. This is something we enjoy doing when traveling and find it’s a nice way to see places more like a local. There are some beautiful towns along Lake Lucerne and all over this area. 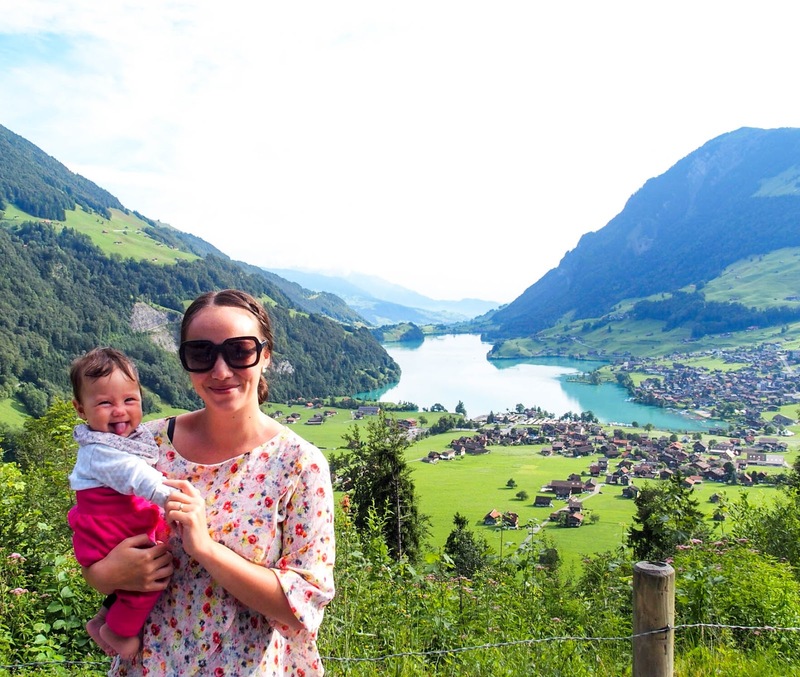 Vitznau, Weggis, and Schwyz were some of the smaller villages we enjoyed visiting! All very picturesque. 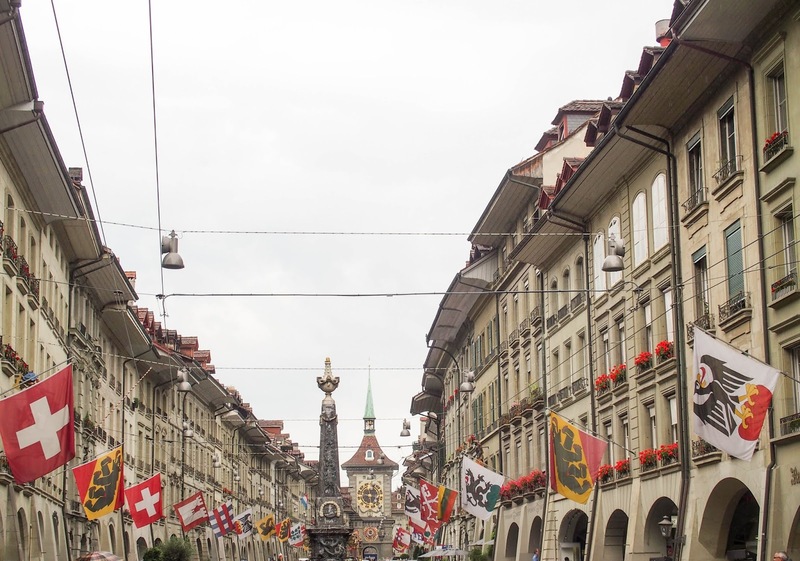 The capital of Switzerland is a charming city dating back to the 12th century. It really has a different feel to other places we visited and you can sense the history there. The location on a crook in the Aare river makes for a picturesque setting. Make sure to take in the view from the gardens above the city! It’s the best view of the city. The shopping street here is the longest covered street in the world - it’s much needed as it rains a lot! So make sure to save some time to check out the shops. There are a lot of historical attractions to see. Another amazing city surrounded by mountains and lakes (seems like that’s everywhere in Switzerland!). We enjoyed wandering the streets here; the shopping, cafes, and walking along the lakefront. We did find that having a car made it easy to get around and make day trips to different places. We decided to stay in one spot as it was the end of our 7 week trip in Europe. It was especially essential for staying in an apartment in a small village. 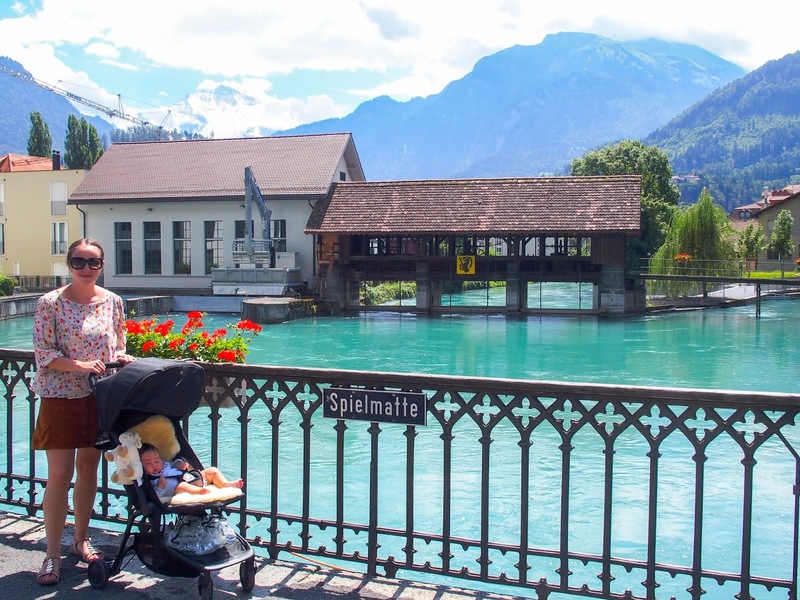 We did think about basing ourselves in Interlaken for half of our stay but decided against it being with Lilah. We flew in and out of Milan so we hired a car from there. Europcar was a good company here to hire from and we had no problems. This was quite convenient to do and the prices were cheaper than in Switzerland. This also allowed us to make a stop in Lake Como for a couple of nights on the way back. Lugano was another area we got to drive through, and again another beautiful looking area where we wished we could stop! We were advised that there can be some long delays at times going through the tunnels so maybe check the time/day if you are coming from Italy. The Rhine waterfall is one day trip that we didn’t quite fit in, it looks very nice.